Read Canadian author Bruce Welsh's well-researched insight into the 1960s British recording groups (including The Presidents) which helped shape the sounds of the sixties - but never set foot in North America. One of Chicagoland’s finest catering services! 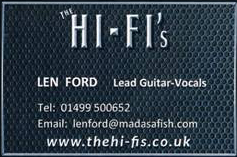 The Hi-Fi's were a gigging band from the sixties performing for over 10 years with 17 members. Check out their website at www.thehi-fis.co.uk for the full story. 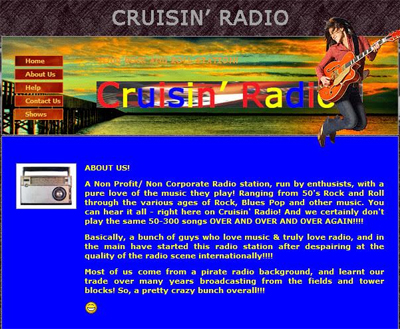 New Rock 'n' Roll radio station called Cruisin Radio that I'm sure will be of interest to, among others, many rockers of a certain age :-) It plays a huge variety of 50s Rock and Roll through the various ages of Rock, Blues, Pop and other music - They have The Presidents' releases Candy Man and Let the Sun Shine In on the playlist!!. The songs you know. Playing he greatest hits from the fifties and sixties. Peter-Robert Koenig's essay about David Bowie.